Changing Content Database Collation for SharePoint with Supported Way. First If you have also different collation for the SQL instance (for master, tempdb databases) and some of other databases which are not SharePoint related will require this you have to setup and install another SQL Server Instance with correct collation . 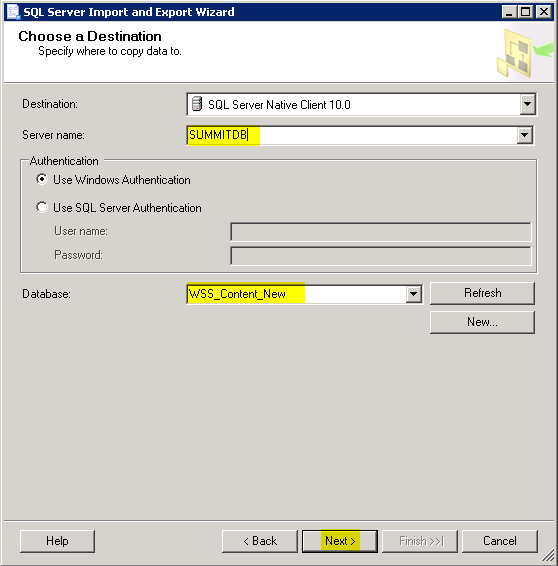 After that you can use database attach method to transfer SharePoint Content Database to new SQL Server. 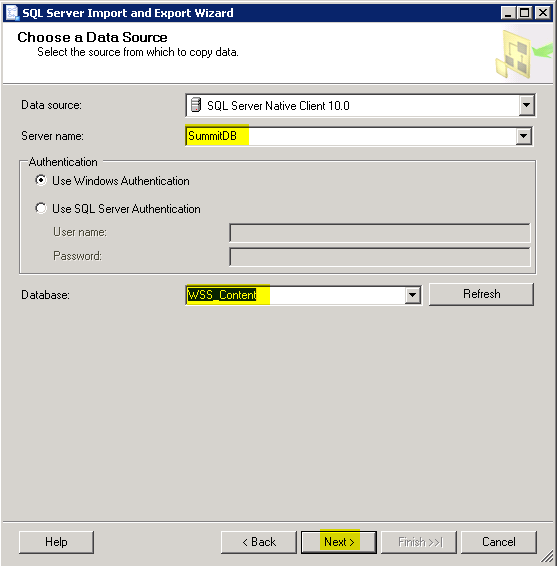 Moving SharePoint Farm to another SQL Server instance is out of this article scope. In this article we talked about only one content database have different collation from supported Latin1_General_CI_AS_KS_WS and assume that for the SQL instance (for master, tempdb databases) you have correct configuration. 1) Don’t Forget to backup your original Content Database for any further problems. and you need a maintenance time to make this operation .For minimize outage you may change the problematic Content Database in “Read Only” Mode. We always suggest to test this in a test enviroment before appling to any Production Farm. 2) Open your SharePoint Central Administration -> Application Management -> Manage Content Databases section. 3) Create an empty new Content Database for any web Application and deattach this content database after you have created. Attach or detach content databases (SharePoint Server 2010) please check following article. 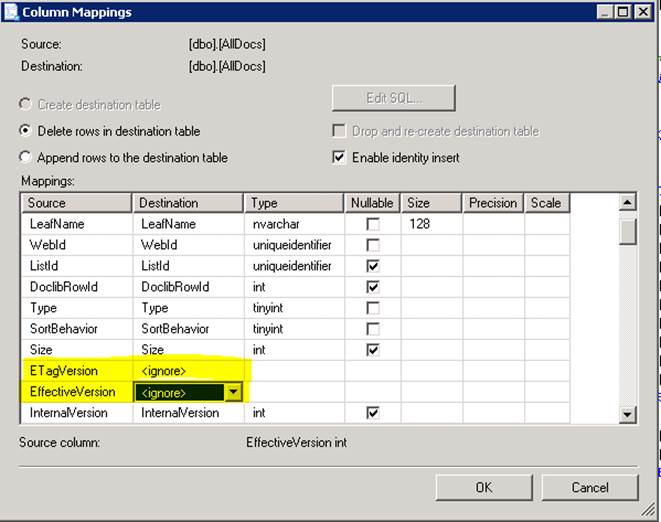 4) Usually SharePoint 2010 creates new content databases with correct collation “Latin1_General_CI_AS_KS_WS” . If not, you need to rebuild another SharePoint Farm or create a content database on another SharePoint server which must be same build level with correct collation than move this content database to your actual farm by using your SQL knowledge. We are doing this ; because we want to sure that we have a content database with correct Schema. 9) Select new content database as target. 12 ) For Each Selected Tables apply following . Mark the tables one by one and click Edit Bindings. 14 ) Some of the tables has calculated columns. You need to do some extra operation for tables which contains “Computed Columns” . For Example “AllDocs” Table. For more information about “Computed Columns” please check following article. You can find these kind of tables by checking their “create” scripts. 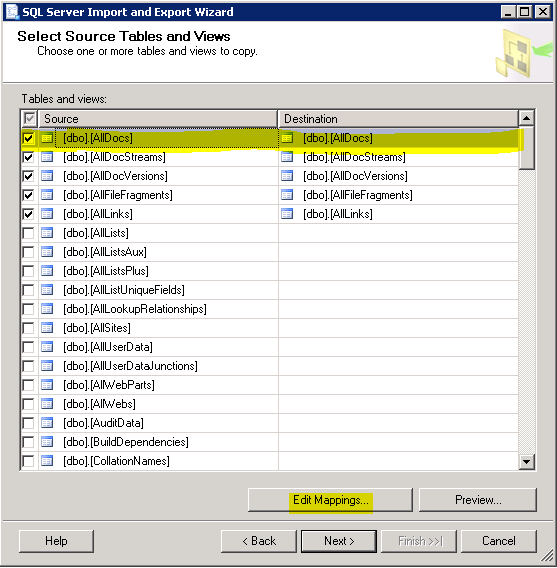 16) After Mapping Configuration Click Next and Finish and if everything is ok SQL “Import and Export Tool” able to copy data between selected tables. Note: It may give some warnings than you can ignore them . But if it is giving any error go back and check all configuration again. Note: All Rows must me transfered dont forget to check row counts.Any missing row will make your System unstable and unsupported state. 17) Copy all tables’ data to new content database. Check all tables row counts after you finished the operation again. Important Note:You have to be very Careful, Any error , any missing row or any missing column data happens that indicates you could not have a supported database !!! 19) Attached newly created content database to Web Application and test that everything is working fine. Important Note: The data have already been transfered from old database will not be changed. Thats mean until this operation old data will remain in old collation. New added Data will applied as the new collation format. So dont expect that the if you have some character problems causing by unsupported collation will not be fixed by this operation. And Always test your System for a test environment before doing any action on Production. To being on the safe side you may try create one more content database and after you complete change collaction operation , and move your all site collections by Move-SPSite Command. 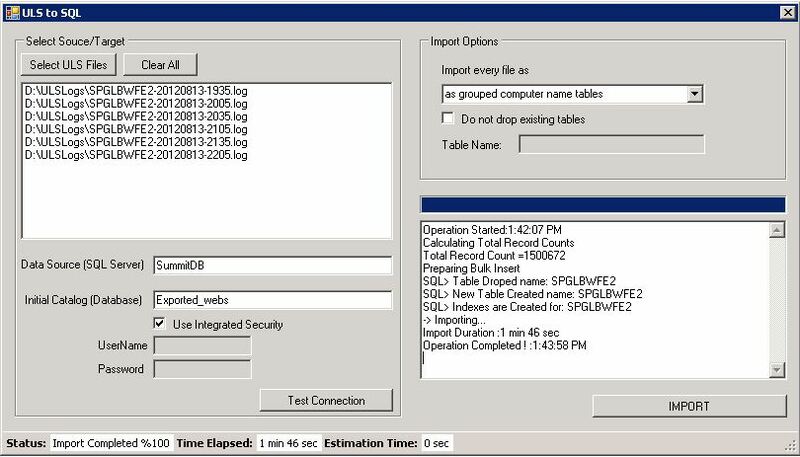 Than you can query SQL tables as you wish : Fallowing query will return execution time over 1 sec for SPMonitoring event records.